Katia and Marielle were born on the southwest coast of France near the Spanish border. 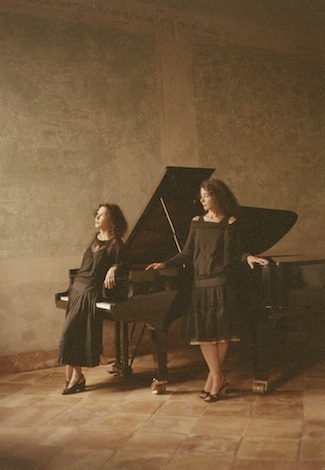 The two sisters are a sharply contrasted, yet highly communicative piano team. Their repertoire includes a broad range of material, from Bach on period instruments to the 21st century contemporary composers. The sisters received initial instruction from their Italian mother, Ada Cecchi (former student of Marguerite Long), who began lessons when her daughters were three and five years of age. Upon graduation in their mid-teens, the two undertook performance of contemporary music. While a certain notoriety came with this performance repertoire, true celebrity arrived when their two-piano recording of Gershwin´s Rhapsody in Blue sold over a half million copies.